It’s been a couple of weeks since my last post, so here’s a little catch-up! During one Saturday, David and I took a short visit to Birmingham to see their street art of Owls. The Big Hoot it was called! In total we spotted 33 of the 89 owls on the streets, not bad for a few hours on the trail! While walking around the city, we enjoyed the many different types of architecture to be found! Last Thursday came the news I had been hoping for, for so long! The Tower of London Poppies were finally embarking on their UK tour! It was beyond my wildest dreams that Liverpool could be one of the first few to be chosen for this unique art installation but that is what exactly happened! 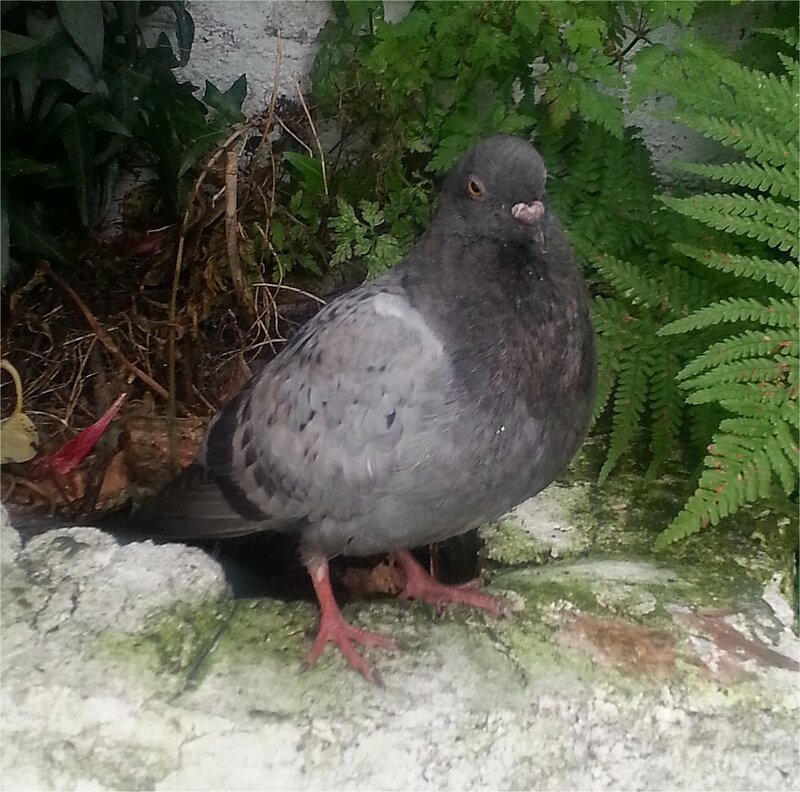 Last week, our house was a B&B for a poorly pigeon whom we called Jack! David noticed the lethargic bird last Monday and after debate we made a box up for him (and later a cage) and brought him in of a night. He seemed generally fit, apart from green runny poop! The worrying thing was that he could not fly and even though he attempted too, he could not get any height! So for seven days we would leave him out in the garden for the day (Artie was not allowed to go outside! ), and of a night he resided in our back bedroom! We were going to take him to a vets to get checked out but over the weekend he seemed to be getting more strength and confidence. This Monday while filling up the bird feeders, (we have many Goldfinch and House Sparrow fledglings visiting), Jack took to the air and landed on a nearby shed roof. He was not to be seen come the evening and we hoped that he had found his strength and flown off with some newly made friends! On Tuesday morning we saw Jack back in the garden, this time eating seed that had fallen from the feeders and integrating with a small flock of fellow pigeons! We hope he continues to visit the garden and hopefully Jack’s story has a happy ending. At the weekend David and I spent six hours in the garden cleaning, re-potting and planting. I bought a Dahlia from Grosvenor Garden Centre, Chester. I fell in love with the black foliage and the flower heads attract bees! I also bought an Anemone to replace my blighted Michaelmas Daisy and some wall art! And finally I’ll end with one last picture. 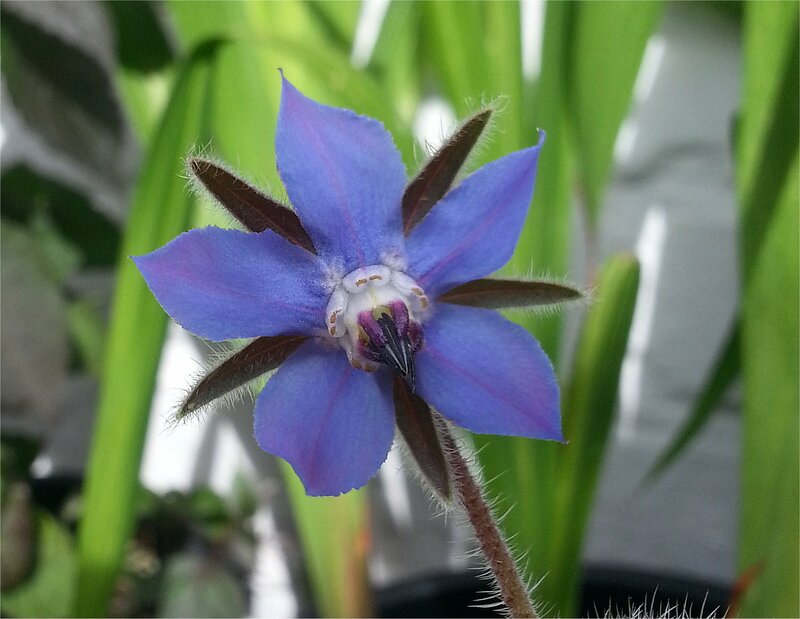 After two months growing from seed, my Borage has finally flowered! What events are you looking forward to seeing?